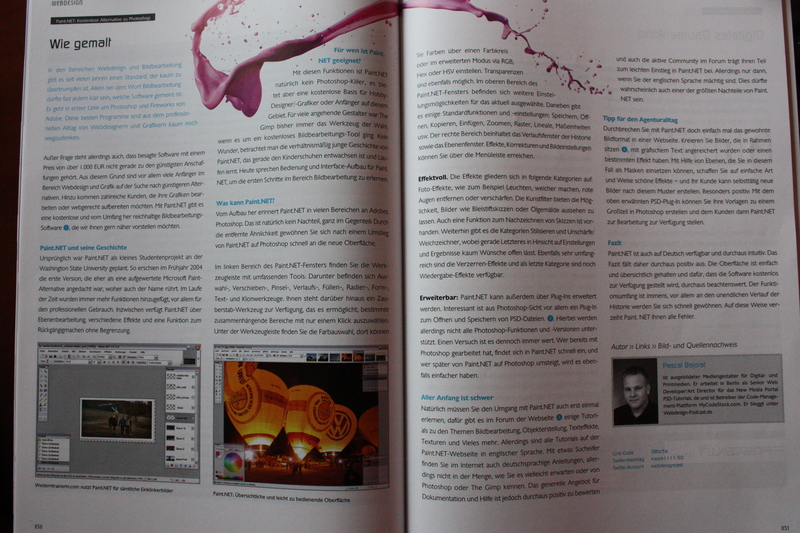 In the current issue of the professional journal for web designers, the Webstandards-Magazin issue 11, I published a two-page article. The article covers the topic “Paint.NET – Attack on Photoshop?” Paint.NET is a free image editing software that has a wide range of features and is very easy to use. The article introduces both advantages and disadvantages and explains the basic functions of Paint.NET. The Webstandards magazine with this article is available from 16.09.2011 in all shops with a good assortment of magazines for 7,80 €.